Travel the plains in style with a series of vehicle fleet wraps that embody the tone and professionalism of your company! At SpeedPro Imaging Lenexa, we help local businesses of all varieties, as our staff has extensive experience in the industry. The nation’s vehicle wrapping industry is expected to nearly double in revenue between 2016 and 2022, so it’s a wise bet to enter the fray now. Wrapping all of your cars, trucks and vans in colorful and informative graphics that match ensures solidarity and shows that you’re a professional company that deserves the attention you’re paying for. 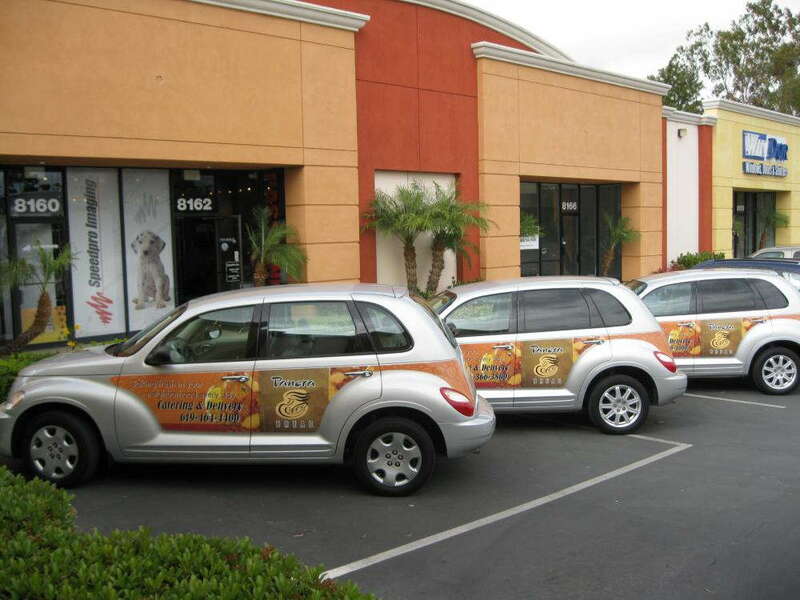 Just one vehicle wrap can generate up to 70,000 impressions per day. Multiply that potential by however many vehicles you own, and you’re facing the possibility of a completely revolutionized marketing strategy. Vehicle graphics not only reach plenty of people, but they also leave lasting impressions. About 97 percent of drivers say they’re more likely to remember products and services that they see on vehicle advertising. Finding the best ROI is always a top priority for successful companies, and our vehicle fleet wraps will help accomplish that feat. The cost per 1,000 impressions is just $0.70, which is significantly lower than other popular mediums like primetime TV and newspaper ads. From conceptualization to installation, we’ll serve as a committed partner of yours throughout the entire process. We’ll work to understand what you need and try to strike a perfect balance with what you want. Choose from full or partial fleet wraps, as our use of multiple materials, inks and laminates means that no project is out of the question. In all instances, the high quality of our materials will help grant the wraps long life and vivid colors. Once your vehicles are dressed up in our vivid wraps, you’ll need to prepare for a wave of new customers. The options are simple and powerful. 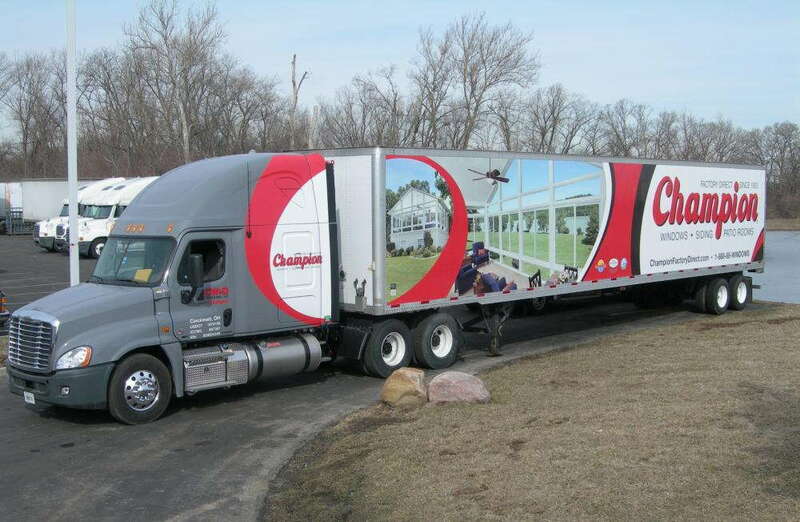 Full wraps can cover nearly the entirety of your vehicle with graphics, practically making it a moving 3D billboard. Partial wraps can coat one side or a focused area, which makes for a cost-friendly option that still makes a big impact. While we prepare for the printing process, all we ask is that you have your vehicles thoroughly cleaned to remove any residue that might interfere with installation. We’ll work with your timetable as best as we can, crafting a schedule that means completing the wraps cleanly and efficiently. Once you drop your vehicles off at our studio, we’ll get right to work on making your vision a reality! If you’re seeking custom fleet wraps in Johnson County, KS, Jackson County, MO, or Cass County, MO, contact us today to arrange your consultation! You’re also welcome to visit our studio, which is located on Strang Line Road, just off of College Boulevard, near Interstate 35 in Lenexa. They do a great job and have great customer service!! They are fantastic supporters of the community!! Customer service and timely work. Easy to work with. Provided me with color sample of the banner and sent proofs in a timely manner. Speed Pro is the best large format printing company in the KC Metro! We recommend them to everyone!